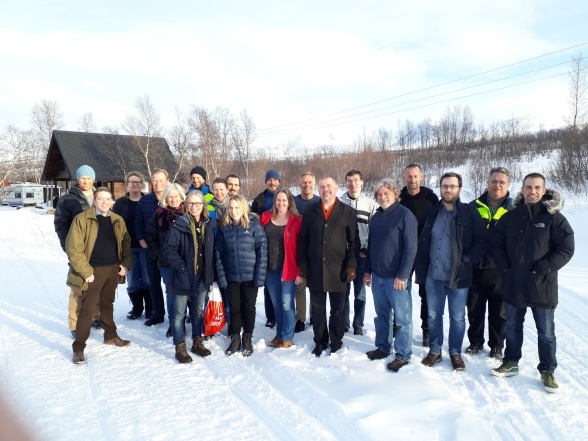 Representatives from SITES stations gathered in Abisko in April to learn, discuss and establish a work plan for data deliveries to SITES data portal. Jonathan and Oleg working with SITES data portal, gave a demonstration of how to use the system is to be used from a station data administrator point of view. Special focus were also addressed regarding data deliveries from SITES Spectral and SITES AquaNet to SITES data portal. Several other data tools for collection, visualization and quality control of SITES data were also demonstrated. The meeting also gave the opportunities for discussions and sharing of knowledge within SITES, and a nicer scenery than what Abisko offered is hard to imagine.